Guitarist Nels Cline has always been a sucker for music that’s a bit mystifying—not easily described, transcribed or summarized. So no one should be shocked if he’s particularly pleased with Currents, Constellations, an audaciously charted collaboration with guitarist Julian Lage, bassist Scott Colley and drummer Tom Rainey. Perhaps “charted” is too strong a word, since an air of spontaneity often prevails here, especially when Cline and Lage are intuitively engaged in curious counterpoint, or when the album’s noir-ish themes and funk riffs are artfully and playfully tweaked. No doubt fellow guitarists will marvel at the level of interplay demonstrated here. What’s more, Cline never seems at a loss for ideas when it comes time to introduce contrasting tones, textures and dynamics, or deploy whimsical effects. Some tracks are quick to make strong, even jarring impressions, including the dissonant “Furtive” (inspired by Duke Ellington’s large-ensemble work) and “Swing Ghost ’59,” distinguished by its fitful rhythms. For all the bracing energy generated by Rainey and Colley on “Imperfect 10,” however, other performances reveal a more nuanced view of Cline’s interests and the band’s versatility. Carla Bley’s “Temporarily” and the Ralph Towner-inspired ballad “As Close as That” radiate a similarly quiet soulfulness. The album closes on a touching, elegiac note with “For Each, a Flower,” inspired by the recent deaths of musicians John Abercrombie, Geri Allen, Bill Horvitz and John Shifflett, and luthier Bill Collings. 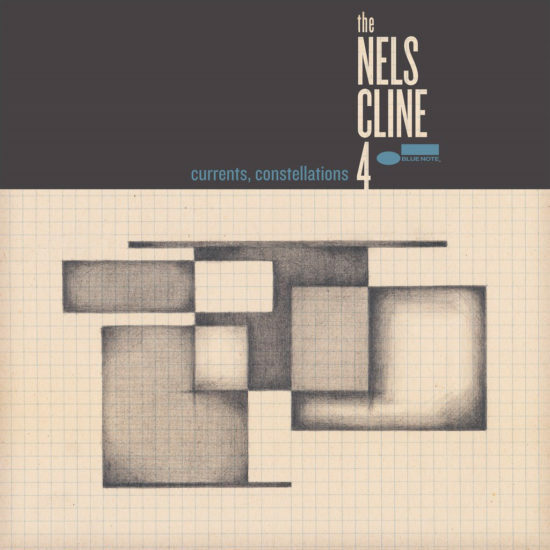 Preview, buy or download songs from the album Currents, Constellations by the Nels Cline 4 on iTunes. Read Mike Shanley’s review of the album Room from Nels Cline and Julian Lage.